Those Fantastic WingsWe enjoyed everything but especially garlic buffalo wings. Fun Sports BarGreat for burgers and beer! Sports bar and casual restaurant, Legends combines the best of both into a special kind of neighborhood gathering place. Where friends and family can meet to grab a bite, watch the game, or just enjoy a beer together in a lively atmosphere. We have an extensive menu of hearty American pub food created with fresh ingredients, rising above standard bar fare. We feature Certified Angus Beef Gourmet Burgers and our one-of-a-kind dry rub jumbo wings--or tossed in your choice of sauces! With a premium sound system and flat screen TVs everywhere--including in the bathrooms--there's not a bad seat in the house. 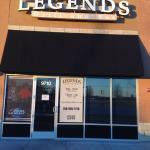 Come join our friendly staff, enjoy our food and see why people love coming to Legends. New to Frankfort a neighbor introduced me to the establishment. We enjoyed everything but especially garlic buffalo wings. Always a fun atmosphere. Typical sports bar with amazing food and drinks. 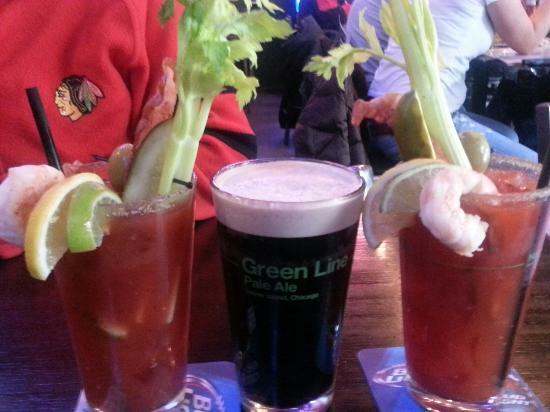 Especially the Bloody Mary’s. Reasonable prices. Good, food, good beer, good people. Service was great. (Thnx Crystal.) Wing and shrimp with dry rub. Yum. 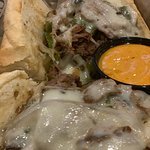 Philly cheesesteak. Yum. Maplewood Juice Pants on tap. Playoffs. Great time. Love this place....kids love it too. You know you really enjoy a restaurant when you have all their daily specials memorized. The wings, and Tuesday chicken tortilla soup are my favorites. Best dry rub wings ever! We frequent Legends rather often. 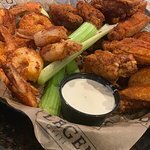 We love the hot dry rub wings and shrimp and they also have a wide variety of foods including the best bruschetta I ever had. Warm, cozy bar/grill with good specials! This is a great place to go for an inexpensive meal or if you just want to go and have a drink. You will enjoy this place if you are a sports person as they have all the sports on their Ty's. WE WILL NOT BE BACK! 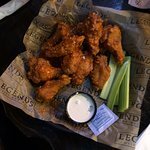 Get quick answers from Legends grill and bar staff and past visitors.